Yes, you are reading this correctly THREE new shiny releases of Umbraco today. Of course all three releases have fixes in it for the recently discovered security vulnerabilities (make sure you take action now if you're still on older versions!). The most unexciting versions of today are the bugfix releases 4.11.9 (changes) and 6.0.6 (changes). Okay, so not that I've blogged about those let's get to the meat of the matter: 6.1.0. So what's new in 6.1.0? UmbracoApiControllers (docs) - These are regular ASP.NET Web API controllers but you don't need to do any work to set them up and they come with all of the Umbraco Authorizations (role and/or membertype based) out of the box. It's "/base" on steroids! There's now a Examine management dashboard in developer section, making it easier for you rebuild and optimize your indexes and do searches straight from the backoffice. Bulk publishing (right click a node to publish it and all of it's descendants) and sorting now perform much better (the updates for sorting required us to make a minor breaking change, if you rely on Save/Publish events triggered by sorting, please read the issue description). Speaking of performance, we've optimized the loading of large trees in the backoffice. We've streamlined how cache is invalidated making it much more consistent. For load balanced environments cache handling is now also much improved we fixed a lot of other bugs for those types of environments. In MVC, you now have the ability to easily change the default controller used (docs). The whole request pipeline has now been made public so that you can hook into almost any part of it with your custom code. Mad props to Stéphane for getting that done! There's now a simple Relations API to make it super easy to relate content, members, media, etc. to each other (check out ApplicationContext.Current.Services.RelationService). FaultHandling is part of 6.1.0, so this is the release that has retry strategies in place for PetaPoco to support SQL Azure (Morten made me write this to give Umbraco "a dash of enterprise": we have transient fault handling). Are you overwhelmed yet? ;-) We look forwared to hearing your feedback as always. 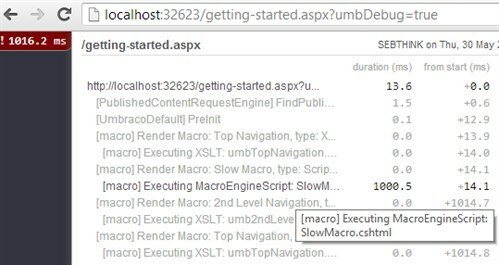 Upgrading from 6.0.x is totally easy, one change in the web.config (details on the 6.1.0 release page) and copy /bin, /install, /umbraco and /umbraco_client over the existing ones. This kicks in the upgrade installer and after that you're done. Ps. Did anyone notice that version 6.0.x (first released in January 2013) now has more downloads than version 4.11.x (first released November 2012)? To celebrate this, we're now making v6 the recommended release! Okay, enough text already, I'll stop writing now, head on over to the releases page and indulge.